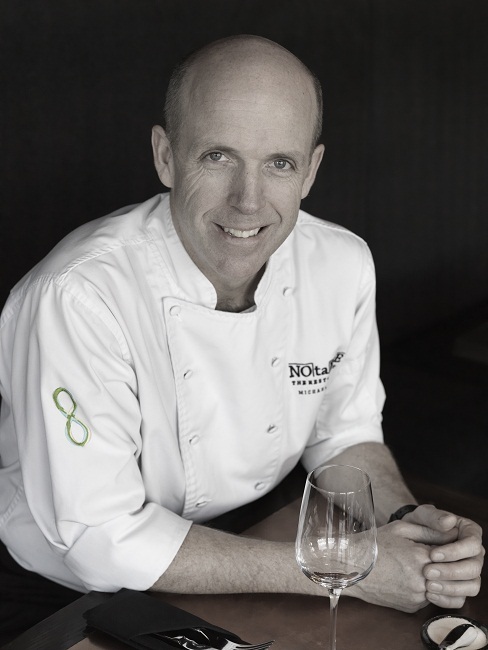 Chef Michael Noble has built an unparalleled career over the past 35 years that has earned him a reputation for crafting gourmet food without pretense as well as inspiring up-and-coming young chefs. Noble continues to motivate and inform the local and national food scene as co-chair of the Community Food Centre Fundraising Campaign and as a volunteer leader for the Young Men’s Mentorship Program with the Alex Calgary Youth Centre. He has represented Canada four times in international culinary competitions, most recently in 2013 as Team Captain of the CCFCC Culinary Team Bocuse d’Or Laureate in Dubai. He was also Canada’s only chef to ever appear on the famous Iron Chef Japan TV show, in 1999. Now focused on his two latest restaurants, NOtaBLE and The Nash, Noble is dedicated to bringing quality dining to Calgary while fostering the next generation of top chefs.